As the summer months wind down, an important deadline for employee training completion is fast approaching and it affects a multitude of industries. 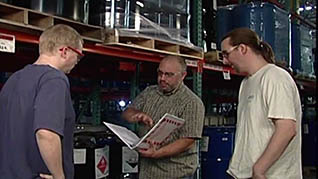 This deadline is for the new Global Harmonization System (GHS) for chemical labeling and handling. In order to have employees trained on this new system of labeling elements and the new organization of safety data sheets (SDS), the Occupational Safety and Health Administration (OSHA) has issued a deadline for completion of training for December 1, 2013. Luckily, we released three more course titles compatible for our mobile-friendly Video On Demand (VOD) format, that can act as key components for GHS training for many organizations. 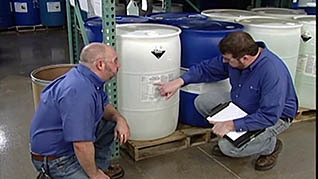 Industries such as manufacturing, transportation, processing, and some government operations use this wide range of chemicals, some of which can be hazardous to workers who are not prepared to protect themselves. Ensure employees are properly trained by using Mastery’s wide-ranging library of GHS courses. This entry was posted in Hazardous Materials, OSHA, Product Announcement, Workplace Health and Safety, Workplace Training and tagged GHS, GHS training, hazard communication, hazcom, hazcom training, OSHA. Bookmark the permalink.